In banking, we usually deposit money to pay off our credit card bill or to add up our savings account. Whenever we do this, bank tellers or machines provide us with a deposit receipt. For organisations running a business receipt, it’s basically the same thing. You select an item online, you’re provided an invoice with the amount you’re required to settle, and then you pay for it. Once this is done, a deposit receipt is then asked to prove that you have made a payment. It’s standard protocol for most businesses, as sample receipts serve as valid proof of transaction. Making a receipt doesn’t require much work. As long as it contains all the data required to make it valid, then you’re free from any legal woes. 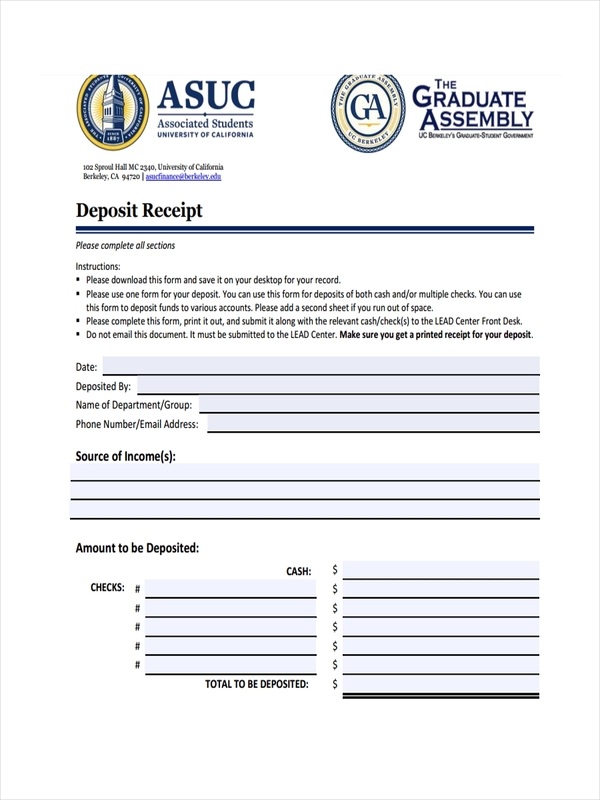 What Is a Deposit Receipt? In banking and commerce, a deposit receipt refers to a similar concept. 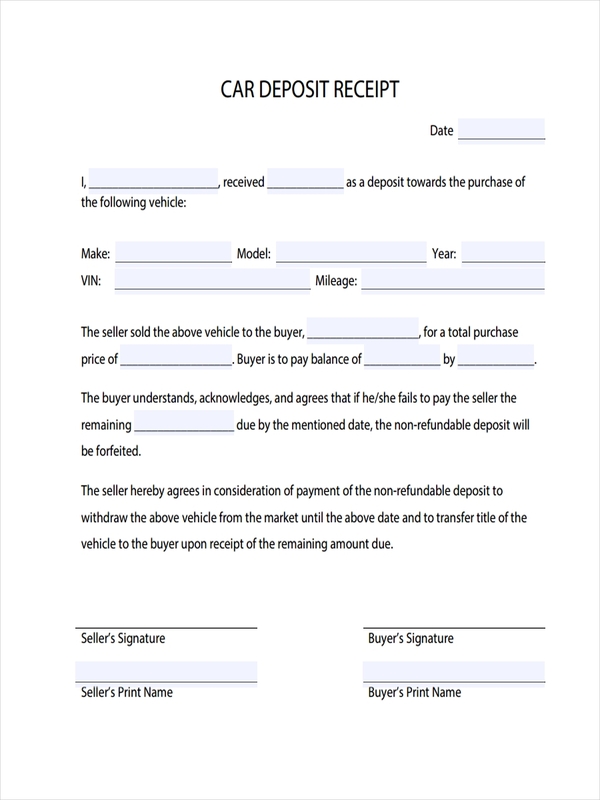 A deposit receipt, also called a deposit slip, is a document that shows a particular amount paid as part of an agreement for something that a person wishes to purchase receipt. 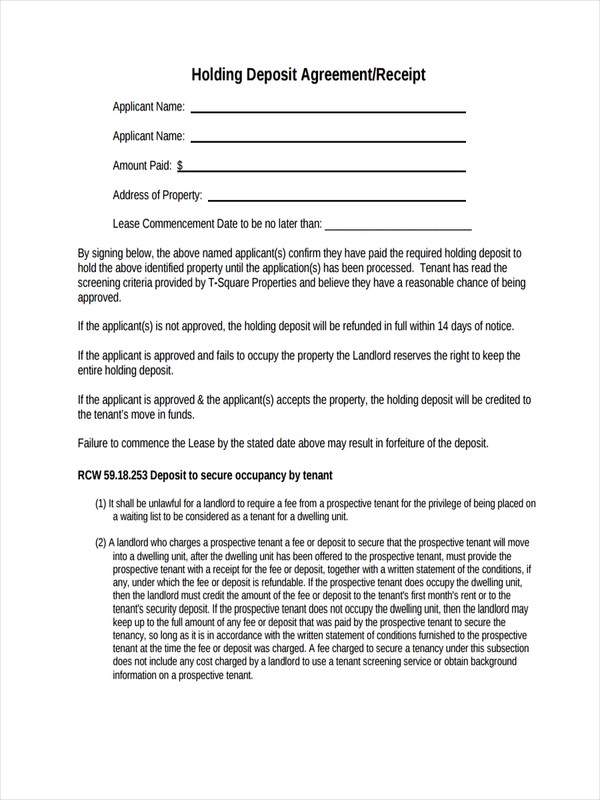 It sometimes even includes the terms and conditions that are agreed upon by the entities involved. It is used as concrete proof that a payment has successfully been made to continue a transaction. This may be used to properly handle future disputes as well. 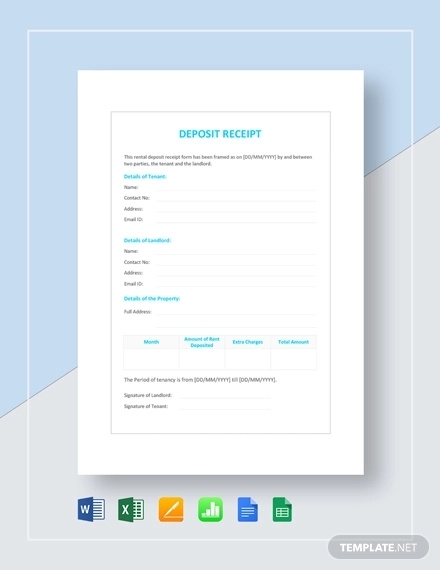 A deposit receipt is received when paying for bank loans, billings, and the like. 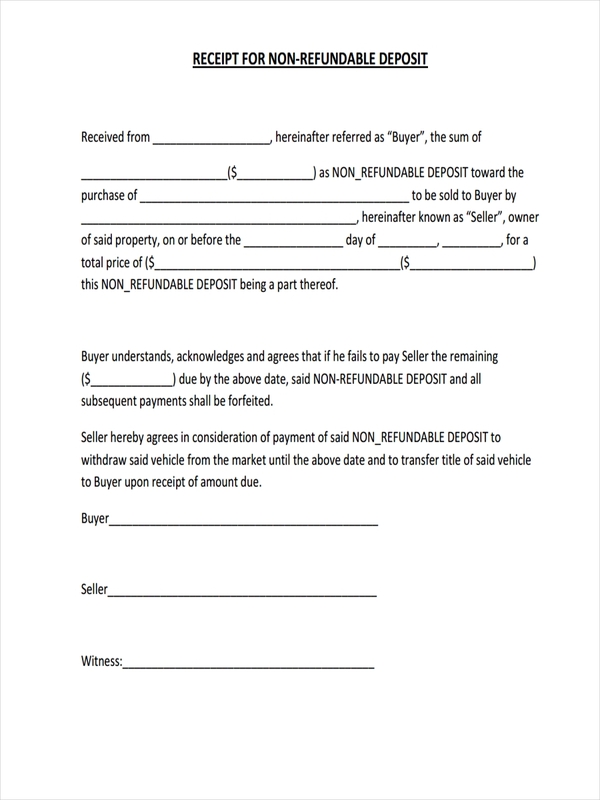 How to Create a Sales Receipt for Initial Deposit? 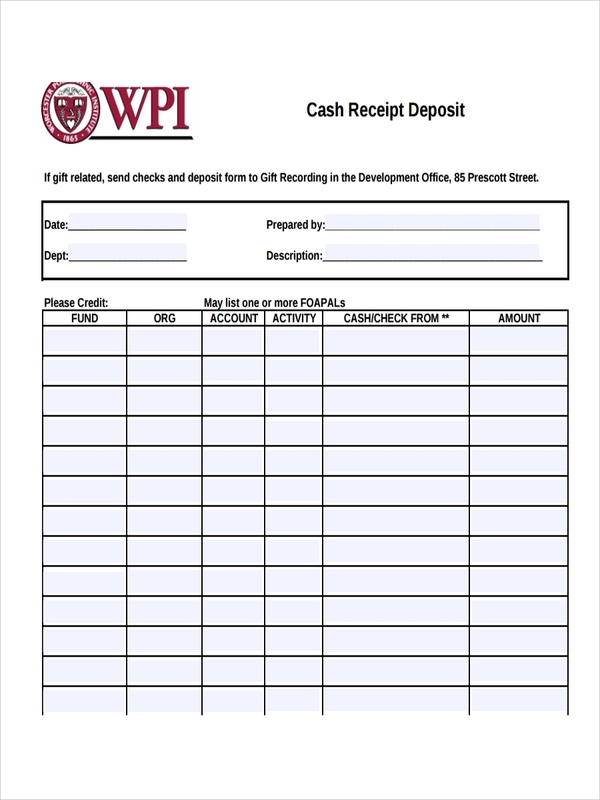 When purchasing an item, most, if not all, companies require a copy of a deposit slip before proceeding to ship your order. This is so your payment may be granted and traced easily. However, due to various circumstances, people would rather deposit money gradually instead of all at once. 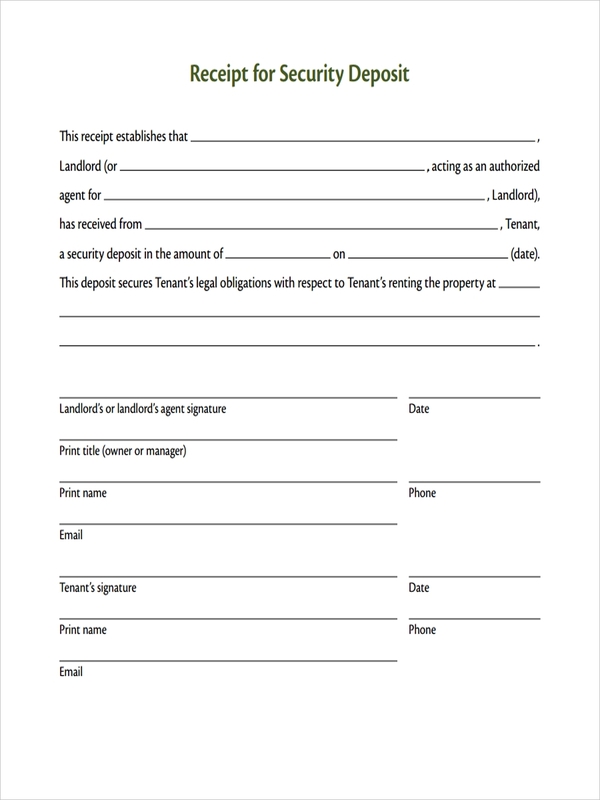 Initial deposits are generally made as agreed by the parties involved. To create a sales receipt for this, it may contain the typical data in a standard receipt. This would be a reference number, the date of payment, the amount received, the mode of payment, the reason for such, and the receiver. It can be made short and simple, as long as it contains all the necessary details of the transaction. 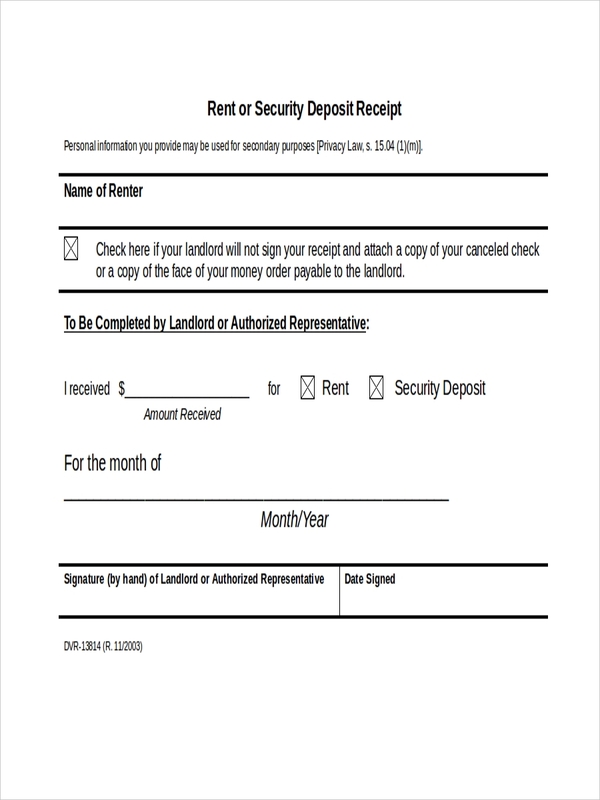 A deposit receipt must be made clearly and formally for it to be considered valid by the IRS. After all, you wouldn’t want to run into any legal problems because of the receipts that your company issues. Keep in mind that these receipts may be used by you and your clients for monitoring income and expenses. If you refer to various sample receipts, you can see a similar format followed when issuing these receipts. It’s important to take note of the value of such receipt. It’s difficult to settle problems when you don’t have concrete proof to support your claims, especially when dealing with money. Bank statements are not considered to be a valid receipt that’s why actual receipts are needed. 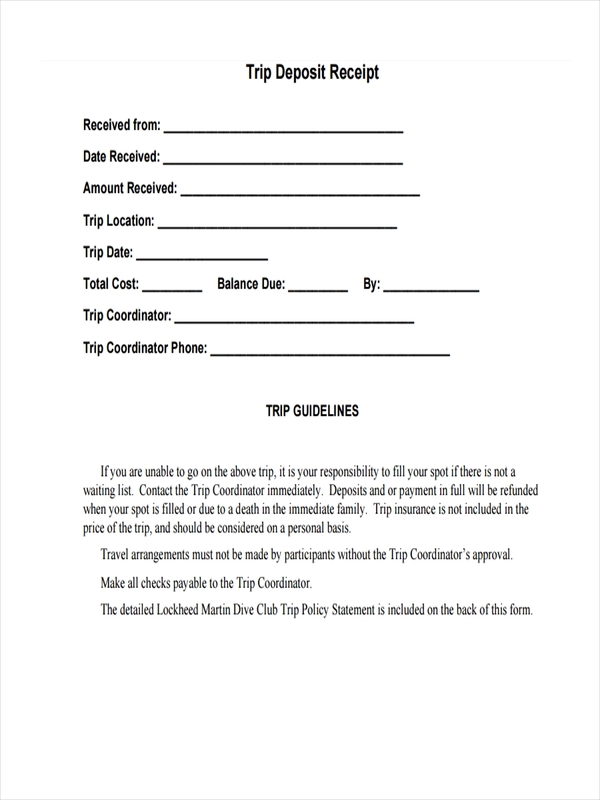 Furthermore, it’s best to specify the purpose of each deposit receipt for various business purposes.